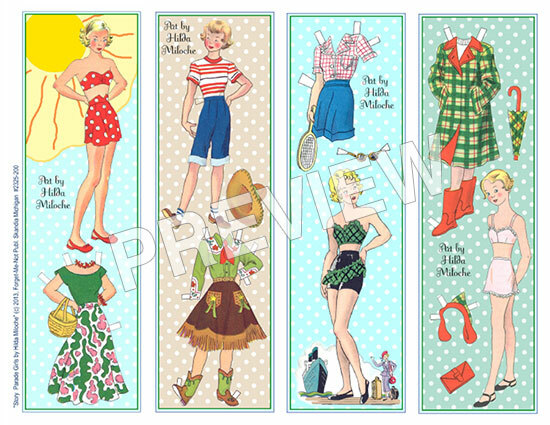 Model: Our First FULL COLOR issue! So exciting! 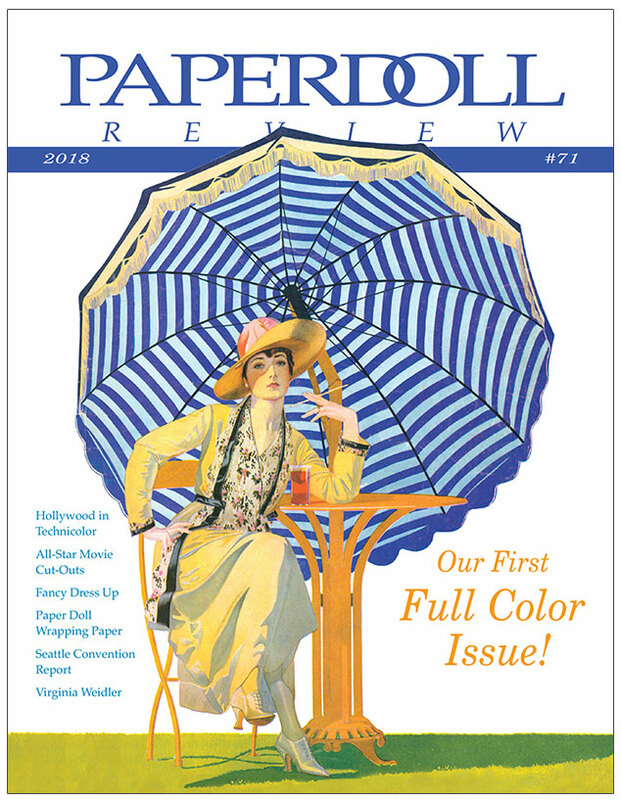 Our first FULL COLOR issue of Paperdoll Review! 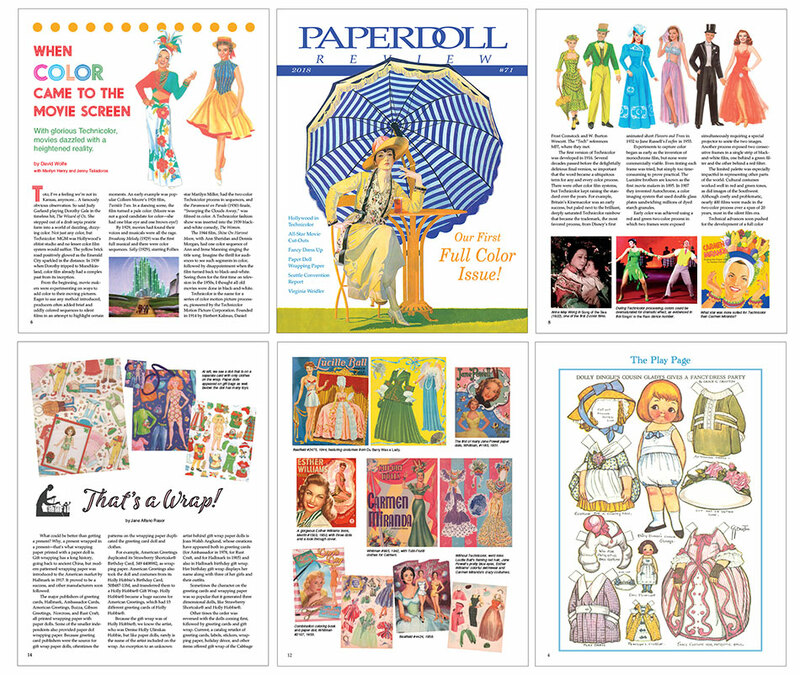 An appropriate tie-in, our lead article is on Technicolor Movies and paper dolls of favorite stars of the Golden Age of Hollywood. 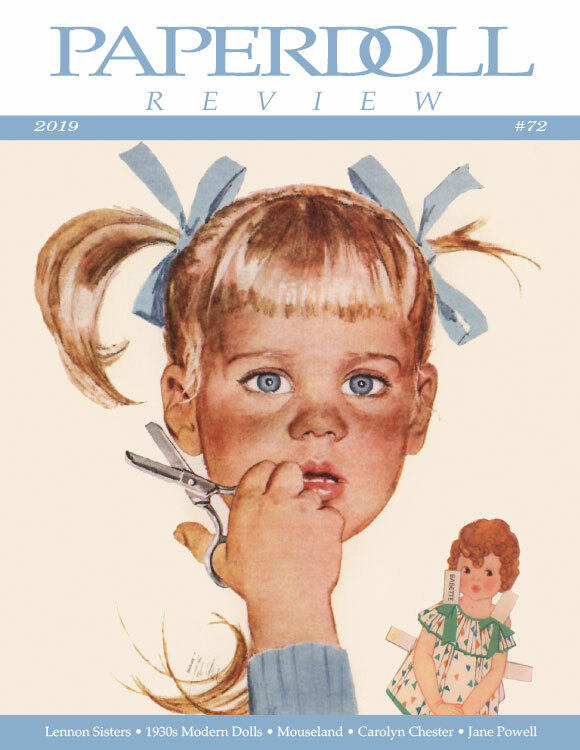 Other super articles include Paper Dolls in Fancy Dress, Paper Doll Wrapping Paper, a spotlight on the rare All Star Movie Cut-Outs, Child Star Virginia Weidler, the Seattle Paper Doll Convention Report from Bruce Patrick Jones and more! 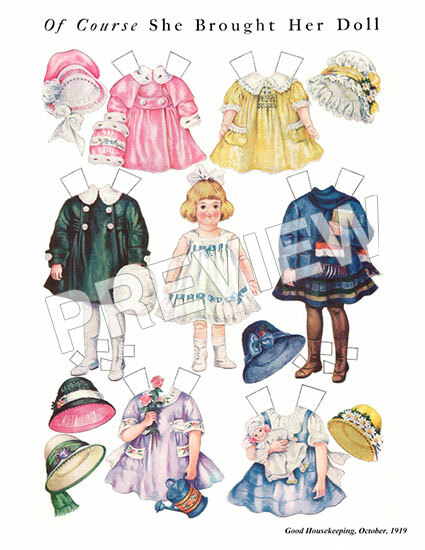 Includes a sweet Dolly Dingle paper doll in "fancy dress" and a Jazz Age Masquerade Party paper doll by Sandra Vanderpool. 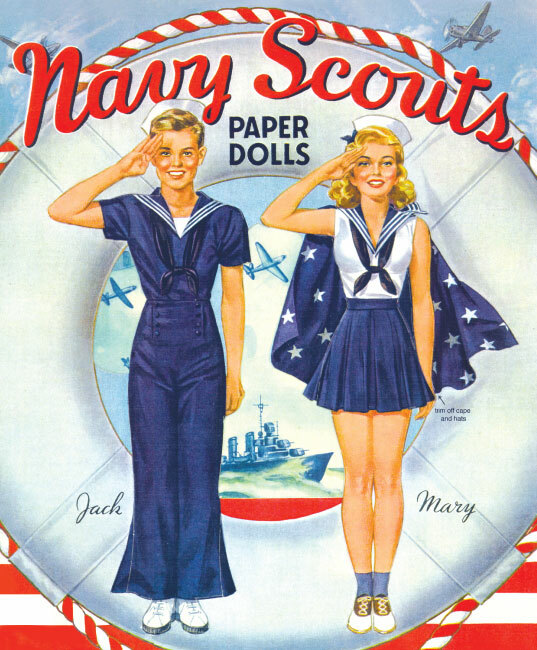 Navy Scouts - Scratch n dent sale!